It’s that time of the year when love is much more celebrated than any other day – Valentine’s Day. Whether you’re single, committed, in love or have fallen out of love, OPPO will be your best partner from this moment on! Dodge the battery woes and just prepare to woo your lover (or yourself) with OPPO’s premium smartphones. The OPPO R17 Pro, powered with SuperVOOC fast charge technology is available for a special Valentine’s price offer of Php 32,990, from its original price of Php 38,990. 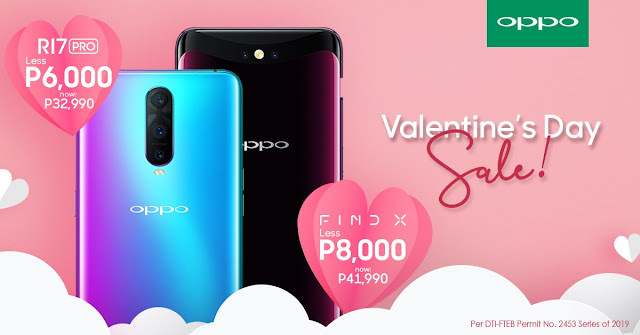 Or if you are feeling extra this love month, get your partner or yourself the extravagant OPPO Find X in its limited Valentine’s Day price of Php 41,990, that’s Php 8,000 off from the SRP of Php 49,990. A premium smartphone that promises high-performance and efficiency, the R17 Pro is equipped with SuperVOOC flash charge technology which users can experience safe and efficient charging from zero to 40% in 10 minutes. SuperVOOC system is the first in the smartphone industry to use a Bi-cell design that increases the output voltage of up to 10 volts while still remaining safe for daily use. The R17 Pro is also powered by Qualcomm Snapdragon 710 for seamless and snappy performance. 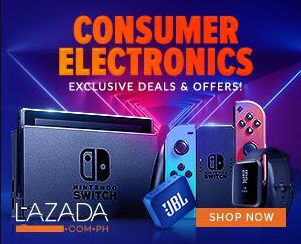 It features triple cameras to capture professional-grade photos and videos in low-light conditions, 6.4-inch screen with 91.5% screen-to-body ratio and an in-screen fingerprint unlock. Meanwhile, hailed as the future of flagship smartphones, the OPPO Find X delivers not only futuristic style but also exceptional power for unparalleled performance. The Find X boasts of 8GB RAM, 256GB internal storage, and the latest Qualcomm Snapdragon 845 platform—plus a sleek, unique 6.42-inch panoramic arc screen with an industry-leading screen ratio of 93.8 percent and features full stealth 3D cameras on the front and back of the smartphone body. We’re letting you hit not just two but three birds in one stone this Valentine’s month. Aside from discounts, OPPO is launching its special Valentine’s campaign where fans can share their extraordinary and unique story along with their photo for a chance be featured in #MySuperVOOCLove 10-second video. “This Valentine’s season, we want to share our love to our loyal customers by giving them the opportunity to own OPPO premium phones, the R17 Pro and Find X.” said Jane Wan, OPPO Philippines’ VP of Marketing. OPPO Valentine’s Day Sale will start on February 13 at all OPPO authorized stores and resellers nationwide.